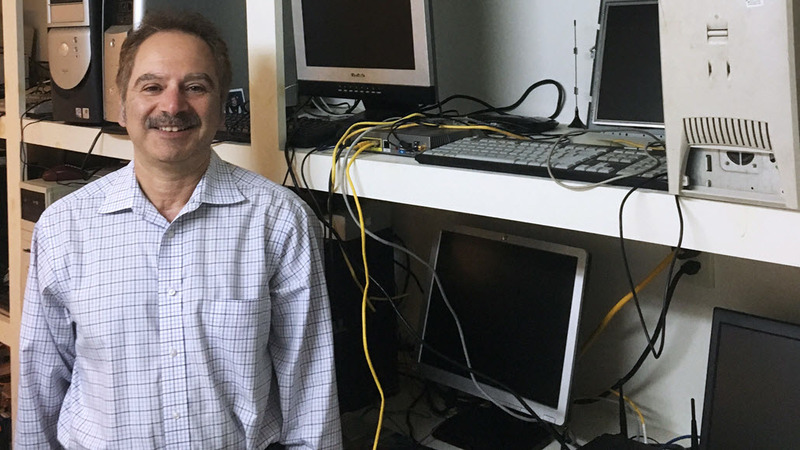 When Basilio Kalpakian spots an old PC on the side of the road, he knows he’s struck gold. A self-described tinkerer, Basilio is an eye surgeon by day and a computer surgeon by night. His hobby and passion is bringing old PCs back to life and loading them up with Windows 10. Typically, the discarded PCs need a good cleaning as well as a few components replaced. Basilio starts by opening up the panel and seeing what he has to work with. He’ll often upgrade the hard drive or RAM sticks. “Sometimes, you have to have a modern video card to make these things work better, so I’ll place that in the computer box as well,” he explained. Image above: The insides of a previously discarded PC, ready to be tinkered with. What does he do with the PCs once they’re ready to work again? He likes to donate them to community members in need. Image above: An old computer gets a new lease on life with Windows 10, thanks to Basilio. “Why have another computer go unused, when you can donate it to someone who can’t afford one?” Basilio said. “When someone—for example, a child in school—receives their first computer, their eyes light up. I think it means a lot to them.” He recounted how he gave a friend’s daughter her first computer, a PC laptop he rescued from ending up in a trash bin. That computer sparked a love for technology that the daughter, now in high school, talks about to this day.